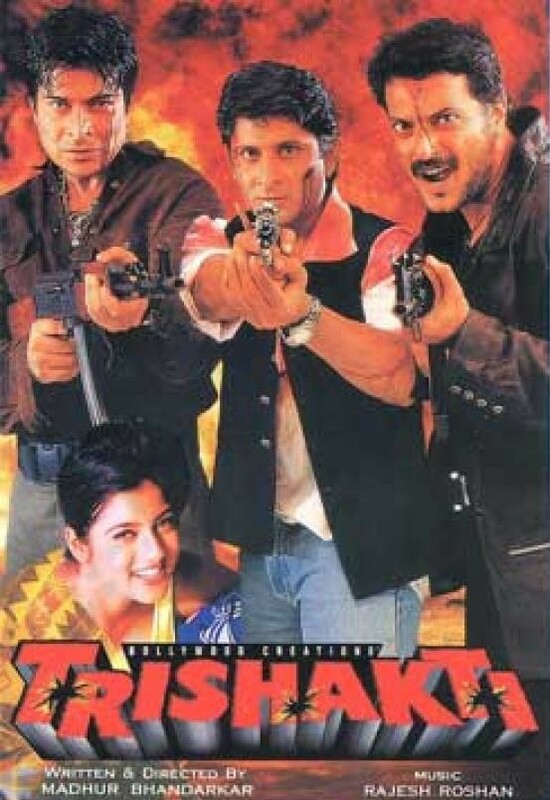 Trishakti (1999) is Madhur Bhandarkar’s debut film as a director. It stars Arshad Warsi, Sharad Kapoor, Milind Gunaji in pivotal roles. 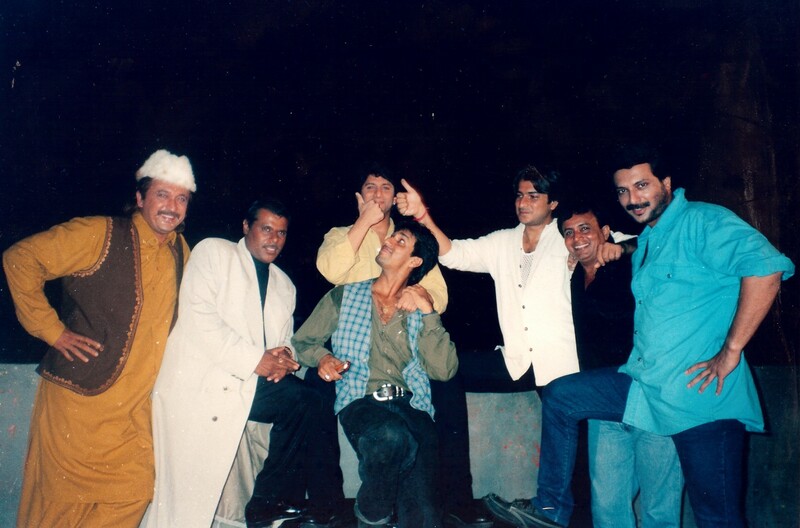 Rajeshwar Raja is the uncrowned don of the criminal world in Bombay, India. Working under his directions are Hasan Lalla and Hamid Pathan. Then Hasan Lalla decides to separate, and forms his own gang, which does not auger well with Raja. Things get worse between the two, resulting in a gang war resulting in many casualties on both sides, with the police stepping in and taking advantage of this situation. 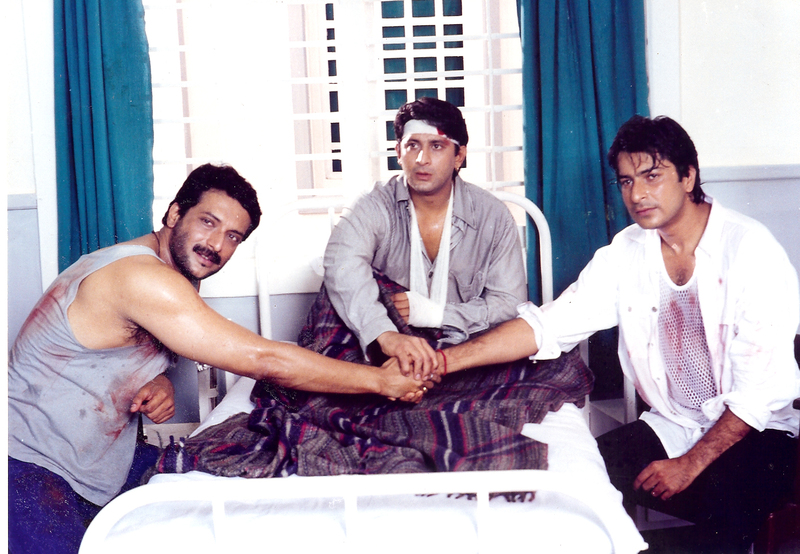 Then one day while Hamid is being attacked by Hasan’s men, three men, Bajrang, Sagar Malhotra, and Mahesh alias Munnabhai, come to his rescue, & ensure that he is admitted in hospital for his injuries. A grateful Raja recruits the three in his gang, and asks them to attempt to bring Hasan down, which they agree to do. When the underworld finds out about the daring deeds of these three, and the manner in which Hasan has been subdued and forced to retreat, they start believing that Raja is no longer in control, resulting in Raja feeling threatened, and deciding to end his relationship with these three. He plots to creates misunderstandings, and enlists a devious scheme in which Mahesh and Sagar are arrested by the police, and Bajrang becomes the one who is responsible. A visibly upset Bajrang tries to clarify things to his two friends, but to no avail. It looks like Raja has once again succeeded in his overtures to be the sole and unchallenged don of the criminal underworld. 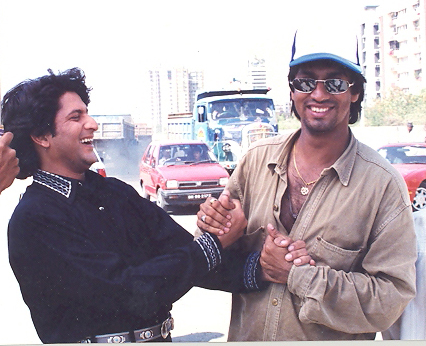 Although the film didn't do well at the box office it was an entertainer for the public and Madhur's technical work on the film was widely appreciated. This led to his second film, Chandni Bar, which won Madhur the National Film Award for Best Film on Other Social Issues.